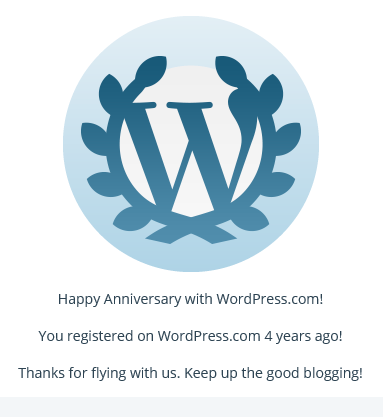 Happy Anniversary to US on WordPress! We started pressing 😉 our posts on WordPress on 2nd Aug 2011 and since then we have been continuously trying to post what we felt like sharing with the world may it be our own creations or something we came across while wandering in this cyber world. Thanks to all our followers for being with us over the years without your patronage we wouldn’t have even thought of coming this long. Special Thanks to the WordPress Team for giving us such a wonderful platform to express ourselves.